I'm excited today to take part in Halcraft's Pretty Palette challenge hosted by the super talented Erin Prais-Hintz. 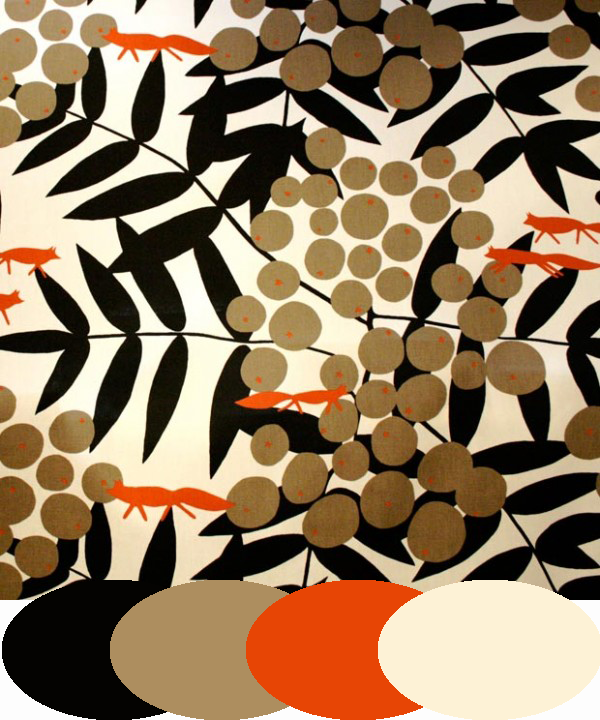 Erin found this awesome Scandinavian print, those foxes and leaves really called to me! Erin sent me a package of beads she picked for this month's palette. I could use any of the beads and add in my own. So let's jump in and see what transpired! My first creation I honed in on the the graphic leaves in the inspiration. 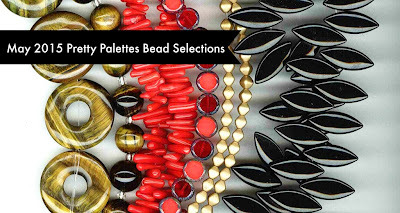 I really loved the black petal beads from Halcraft, in fact I had a strand in my bead stash already. 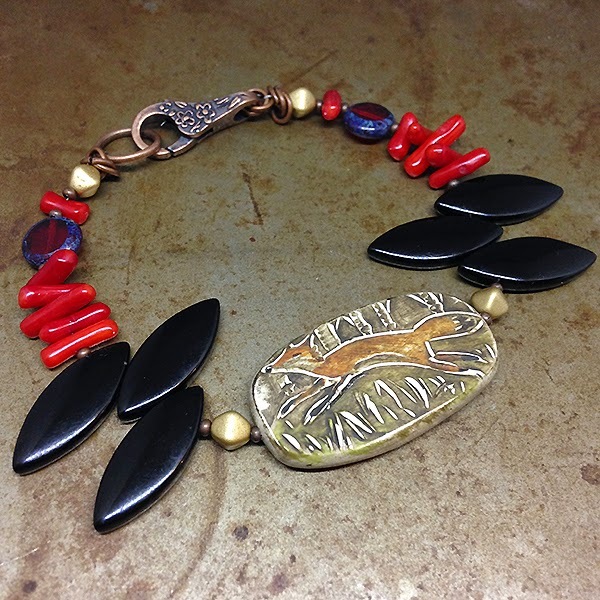 I paired them up with the gold matte Czech glass and just a splash of the red with the Czech glass coin beads. Being Mrs. Art Bead Scene, I had to add in a few artisan beads. I grabbed this beautiful fiddlehead pendant from Kylie Parry and matched them up with my Humblebeads branch disk beads in copper. 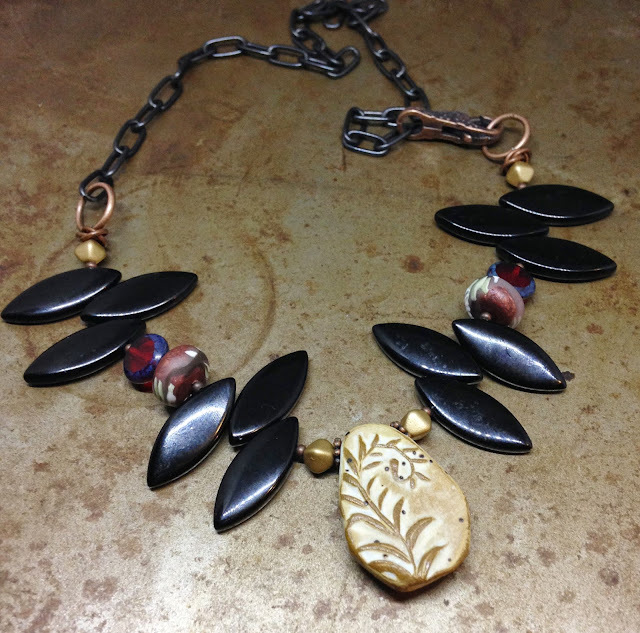 For my next creation I was inspired by the print to create a bead just for the challenge. I created this tiny fox running in a birch forest. My Halcraft beads the jet petals, dyed bamboo coral sticks, the red Czech glass coins and the matte gold beads. My final design I played with an asymmetrical pattern with the petals, gold matte beads, the red Czech coin in a brighter hue. 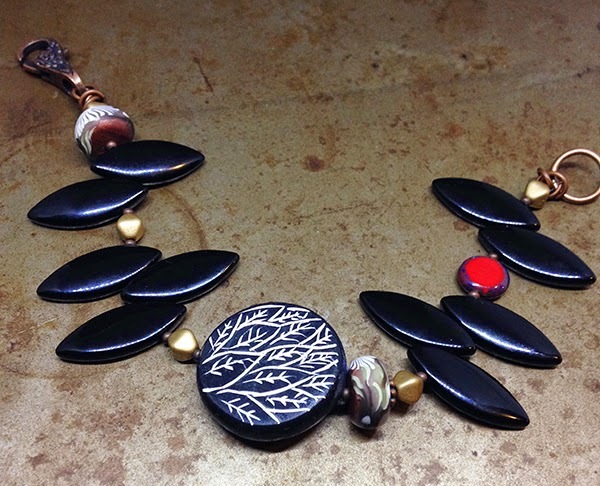 The focal is one of my new faux sgraffito style beads. 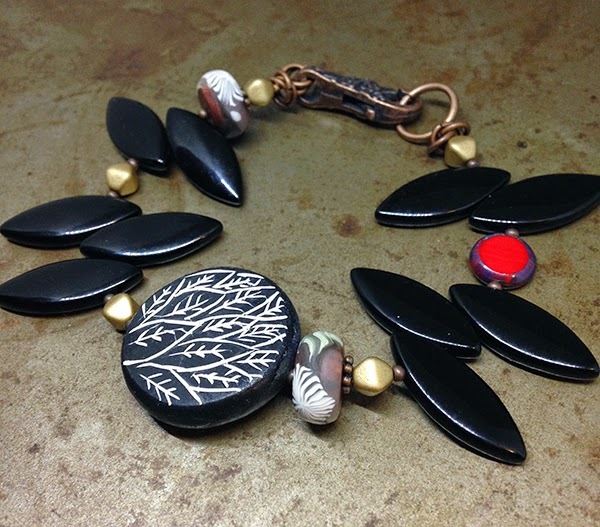 The copper branch beads pulls in some of the reddish hues from the palette. 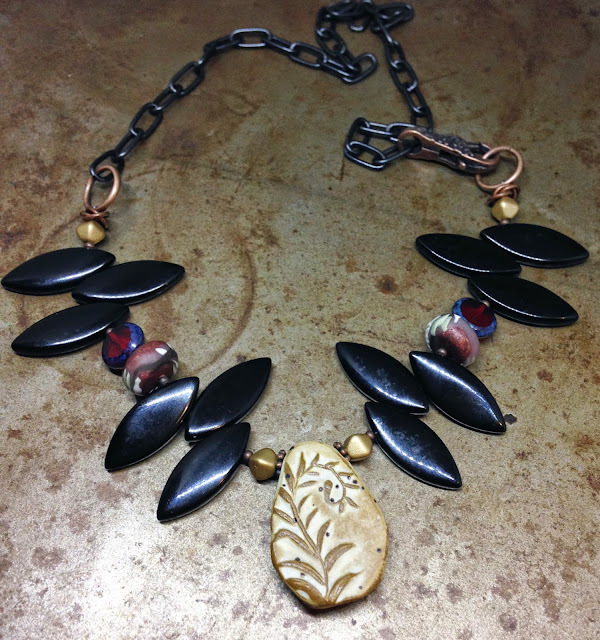 Stop on over to the Halcraft blog today to see what Erin and the other participants created. Thank you Erin for the inspiration!